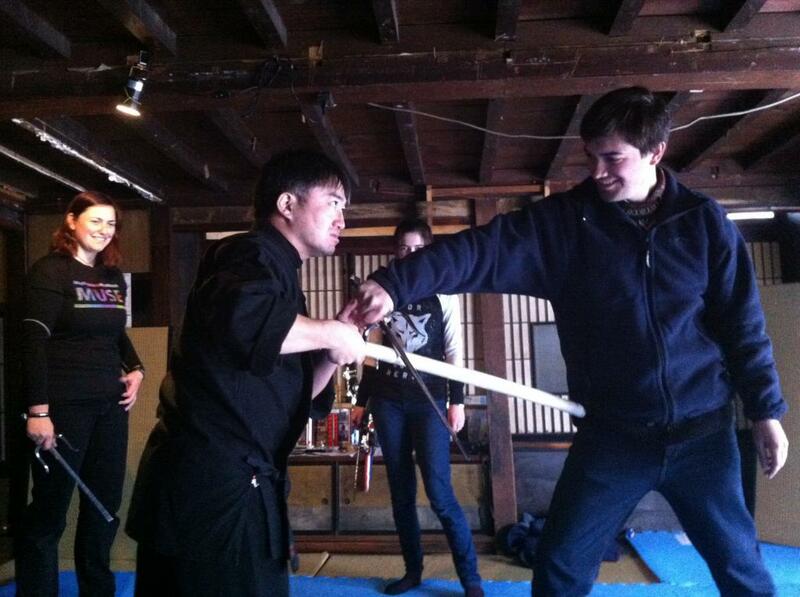 Sneak a Peak into the World of Ninjas be a Lesson with a Togakure-do Master! Want to learn how to walk stealthily like a ninja? Or are you interested in learning some basic self-defense manuevers? How about throwing shurikens? Or climbing up walls to reach the roof of the building -- and then jumping down from the 2nd story? The Yamanokami Ninja Dojo is the place for you! Nagano is home to Togakure-do, one of Japan's 3 original schools of ninjutsu. Based around Togakushi Mountain above Nagano City, several pracitioners keep the ninja tradition alive and one in particular, Miyashita-san, is active in teaching ninja lessons to the next generation. 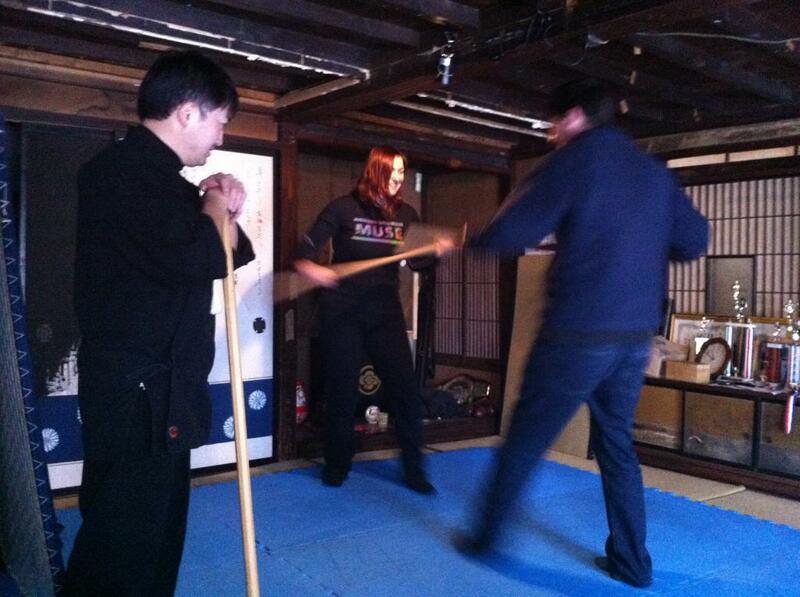 He offers ninja training at Yamanokami, an inn near Zenkoji Temple down in Nagano City proper. From there he operates an NPO that teaches ninjutsu to children. Miyashita-san trained in several schools of martial arts including long stints overseas, and finally settled on ninjutsu in which to specialize. He is happy to share his knowledge to people curious about the unique skills and techniques of ninjas. 1st rule: There are no rules! Anyone from kids to adults can participate in the lessons -- even kids WITH adults. Miyashita-san will tailor the lesson to the skills of the participants: from basic techniques for beginners to advanced moves that practitioners of other martial arts can learn from. 9:00-11:00. Other times by appointment. Irregular. Contact in advance to confirm availability. Lessons available at other times upon request. With prior arrangement, lessons can be provided at a location of your request. Ninja outfit rental available. Additional Togurakure-do ninja-related facilities located in Togakushi: The Kids Ninja Village and the Togakushi Ninja Museum. 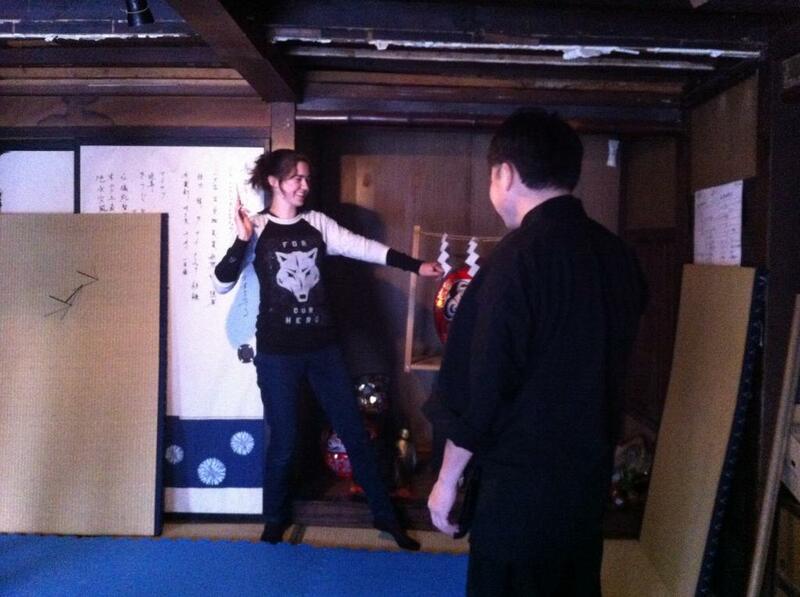 However, Miyashita-san's training lessons are the only Togakure-ryu ninja experience available year-round. From Nagano Station(JR Hokuriku(Nagano) Shinkansen), walk or take bus to Zenkoji (2km). At the intersection on the temple's north side (善光寺北), turn left (north) 150m to the next light (箱清水) and turn left, going 200m to the "T". Follow the red arrows up 300m to 山の神温泉 Yamanokami Onsen. From Nagano IC, take Route 35 north into central Nagano City where it merges with Route 117, continuing to the "T" ("Shindai-mae") at Route 406 (9.7km). Turn right and proceed 200m to the next light ("Wakamatsu-machi") and turn left (north) on to Route 37. Follow Route 37 as it goes right at the 2nd light (横沢町) and left at Zenkoji-West (善光寺にし）and curves around to Zenkoji's north side. Follow above directions from north side of Zenkoji.